You're arguing with a friend about something, and you decide you'll settle the argument the old fashion way: flip a coin! Don't have any change? No problem! 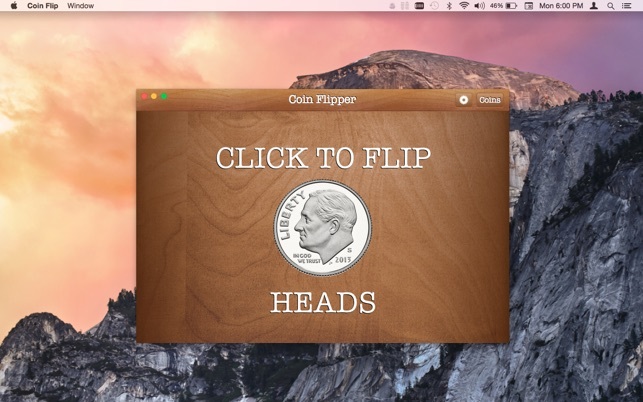 Use the Coin Flip app! 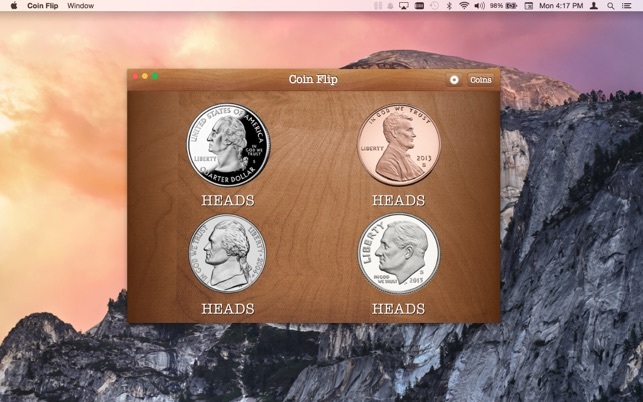 Coin Flip is the first coin flipping widget for OS X Yosemite's Notification Center! 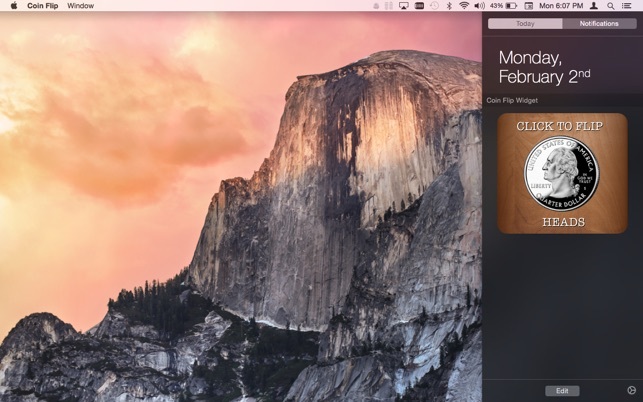 Easily add the "Coin Flip Widget" in the Notification Center and flip a coin at any time! Stop scrambling for pocket change! 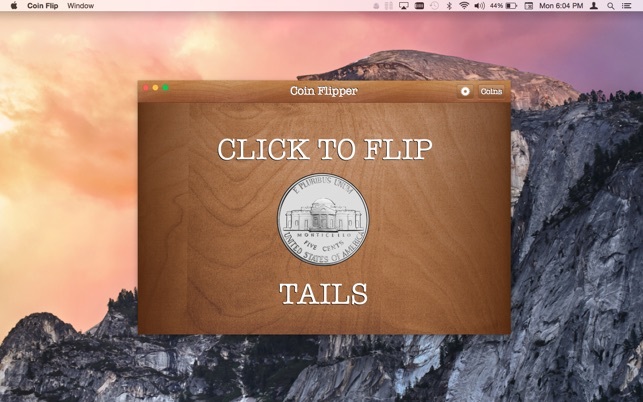 -Easily flip a coin on your Mac. You can flip a coin from the main app or optionally add the Coin Flip Widget in the Notification Center! -Flip up to four coins at the same time! -Lands on heads or tails. It's a random coin flip just like in real life. -Choose different coins to flip! 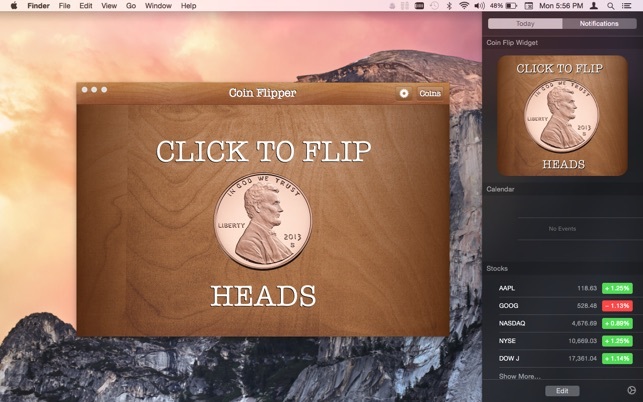 Let Coin Flip do the flipping for you, just remember to CALL IT IN THE AIR! -Updated for macOS High Sierra. © 2015 Writes for All Inc.